Only guests with a valid passport or Malaysian IC will be allowed to check-in, we reserve the right to remove people without valid documents. We have lovingly converted a row of colonial-era shop houses into contemporary spaces with an emphasis on natural materials and light. 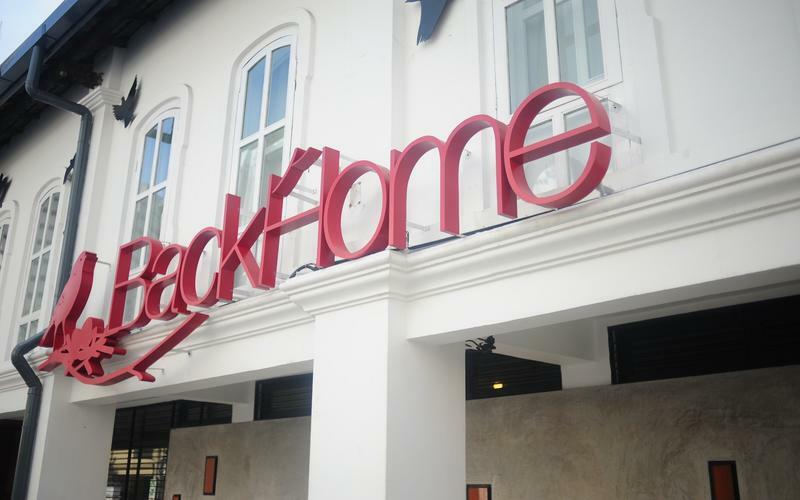 Since opening in July 2009, Backhome has been ranked by Hostelworld as No.1 in Malaysia, as well as one of the Top 3 Hostels in Asia, and Top 10 Hostels Worldwide. We don't believe in cramping your style. Each guest gets large beds designed for privacy, with individual reading lamps and power-points. Our common areas are bright and airy, for you to interact with your fellow guests. Our team is passionate about all things Malaysian, and will share their insider knowledge about local food, customs, and hideouts. We have 24-hour security cameras, individual lockers and a night-watchman to ensure your safety at all times. We have dedicated housekeepers and vacuum our mattresses regularly to ensure that our beds and rooms are exceptionally clean. Powerful hot showers; ample bathrooms and lavatory facilities on two floors. Free high speed broadband, and WIFI. Or you may use our computers at RM1.00 for every 15minutes. As 6 and 8 bed dorms cost the same, we wish to remind you that if you have booked any of these dorms - we reserve the right to change your booking from a 6 to 8 bed dorm, or vice versa. This is to ensure that we have the flexibility to make sure all our guests' requests are fulfilled. BackHome cannot guarantee that your group will stay in the same dorm. We will always try our best to keep groups together. However, this is not always possible. Please take note that our normal check-in time is at 3pm and check-out is at 12pm. Request for early check-in/out is subject to bed availability. If you are arriving at BackHome between 11pm and 7am, please email us ahead and we will try our best to accommodate your request. Please remember that when you say that you are arriving after midnight on eg. Tuesday 12th October, you are in fact arriving on the NIGHT OF Tuesday 12th October, and NOT after midnight on Monday 11th October. If you didn't realize this, and booked on the following day, please rectify your booking as soon as possible. 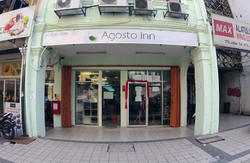 We charge a deposit of MYR30 per person upon check-in. This fee will be refunded to you upon your check-out. Children below the age of 12 are not allowed. Children below 18 should be accompanied by an adult. If you have young children traveling with you, please call or email to inform us first. We reserve the right to turn away guests we deem unsuitable. Booking fees with Hostelworld are non-refundable. * IMPORTANT: if you are on foot or by taxi to the hostel , please note that we are at the top of Jalan Tun HS Lee, Jalan Gereja and more near Museum Telekom. Perhaps the quickest way to get to BackHome , this fast train takes only about 30 minutes to get from KLIA Kuala Lumpur Central Station . From the central station of KL , it will only take another 10 minutes to get to retirement . See additional information below . - Train runs regularly at about 20 minute intervals . The first train is at 5.00am and the last train leaves at 01:00 from KLIA . Take the navettaStar Puduraya Bus Terminal . Bus trip takes about 1 hour and 15 minutes. Puduraya bus terminal , is only a 10 minute walk to BackHome or you can call a taxi which should not cost more than RM10.00 . Give the taxi driver the address and tell him that is near the Masjid Jamek LRT station , or Musem Telekom , Kuala Lumpur. Take note that there is a charge for the services between 0:00 to 5:00 . - Cost: approximately RM100.00 RM80.00 . Buy a Skybus ticket in the arrivals hall . The bus will take you to KL Sentral in the city in about 1 hour and 15 minutes. The first bus to the airport will depart at 07:00 and the last bus will depart for the airport at 01:15 . From KL Sentral , see below on how to get BackHome . Give the taxi driver the address and tell him that is near the Masjid Jamek LRT station , or museum Telekom , Kuala Lumpur. Take note that there is a charge for the services between 0:00 to 5:00 . At KL Sentral , you need to board the KL Rapid Kelana Jaya to KL Sentral , Masjid Jamek station head towards the LRT , which is only two stops away from KL Sentral Line ( formerly known as PUTRA LRT) . BackHome is just 5 minutes walk ( follow the map ) . Buy a good taxi , and the driver 's address and tell him that is near Masjid Jamek LRT Station , or at the Museum Telekom. Please note an additional fee from 12:00 until 05:00 . - Cost: approximately RM10.00 . If you need more information on how to reach BackHome , kindly send us an email and we will reply as soon as possible . Backhome is just 2 minutes walk from Masjid Jamek LRT STATION . When you exit the station , walk along Jalan PERAK . Make sure you are on the same side of the McDonalds (opposite BURGER KING) . 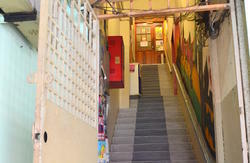 Continue walking along Jalan PERAK , past GUARDIAN PHARMACY , and then take the second road on the left - Jalan HS Lee. You should be able to recognize BackHome from our white walls and red banners . Backhome is just a 5- minute walk from here. From the outside Puduraya , walking towards Maybank Tower, and hold the right - side of this main road ( Jalan PERAK ) . Take the third road on the right , on Jalan HS Lee. It is recognized by our BackHome white walls and red banners .